From Dust, winner of Game Critic's Awards Best Strategy Game of E3, is coming to PlayStation Network on September 27. In From Dust, players are given the power of The Breath, described as a mysterious power used by primitive tribes to battle against the forces of nature. The game allows players to take advantage of the elements in the environment to complete objectives and make areas of the level accessible to their tribe. For example: players can collect lava out of the crater of a volcano to construct a mountain or wall. Other level elements like sand and water can be collected and deposited where the user sees fit to assist their tribe in construction of villages. 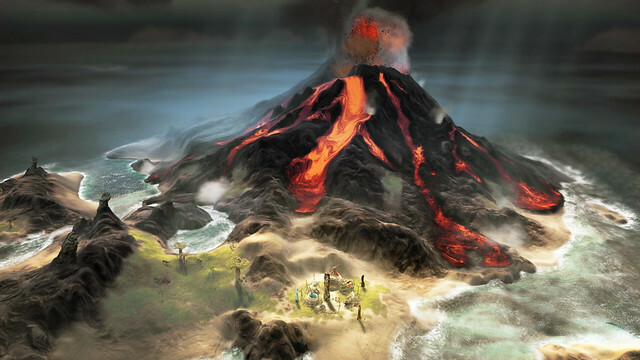 Although the user has the ability, through The Breath, to manipulate the environment, catastrophic events do happen and natural disasters like volcanic eruptions and tsunamis can decimate your tribe. The game was released earlier on XBLA to mixed reviews. Nevertheless, PS3 owners will have access to the game soon and if this is one you've been looking forward to, the wait is almost over.